Quindia - Waving the Dutch flags!!!! Clarence has done a cracking job (very quickly too!) getting 9 Dutch regimental flags for the Nine Years War Flanders theatre ready. They can be found in the shop under Grand Alliance flags codes F018,F019, F020 - Regiments van Hagedoorn, Pallandt, Salisch, van Bulow, Wijnbergen, Beaumont, DuTheil, Nassau Friesland and Freisheim. This beefs up our total Dutch offering to 13 regiments of Foot. 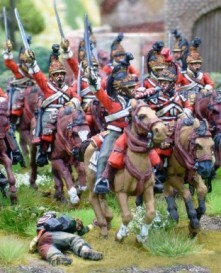 We have 62 French regiments of Foot available, 9 Danish, 31 Scots, English and Irish and 3 Huguenot.